Nowadays, social media has a large impact on our daily lives, and businesses often look to social media tools such as Twitter and Facebook to spread and market their content. While some businesses are beginning to focus their resources on having an active social media presence, many are forgetting another useful tool to help spread their content: blogs. Blogging can be an extremely effective way to build your social media footprint, establish your business as a resource, and demonstrate your expertise in a subject matter. There are lots of reasons why you should use a blog to help build your business. Blogging is an easy way to get the word out about your business and share positive publicity and news about it. A blog serves as a legitimate source of information about your business and can be easily accessed by those interested. Blogging also allows you to interact with your readers. It’s an easy way to directly address and talk with your customers, which gives your business or company a personal voice. It also allows you to engage with customers who might be interested in your specific industry, giving you a target audience. Feedback is another important reason for blogging. Every comment by a reader can provide invaluable customer insight, opinions, reviews, and complaints, allowing you to improve your products or services. Additionally, blogging can help increase internet traffic towards your business. Blogs often contain lots of keywords and linking opportunities, which help to boost your search ranking. Social media sources dedicated to blogs and news sources may possibly find your blog and share it, which would give you more viewers and customers. 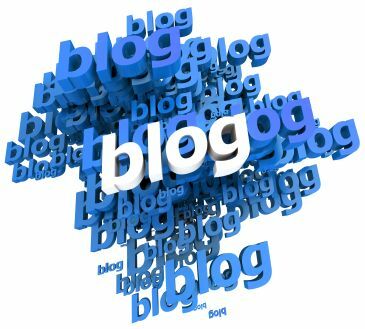 Furthermore, blogging lets you exhibit your knowledge about the industry and helps to establish yourself as an expert. Once your readers begin to appreciate what you have to say, they will repeatedly visit your blog. As with anything, the key to a successful business blog is patience. Rarely do any businesses see immediate results and it might even take a year or more before a blog starts making an impact. However, the benefits of blogging will go a long way in helping to improve your business.